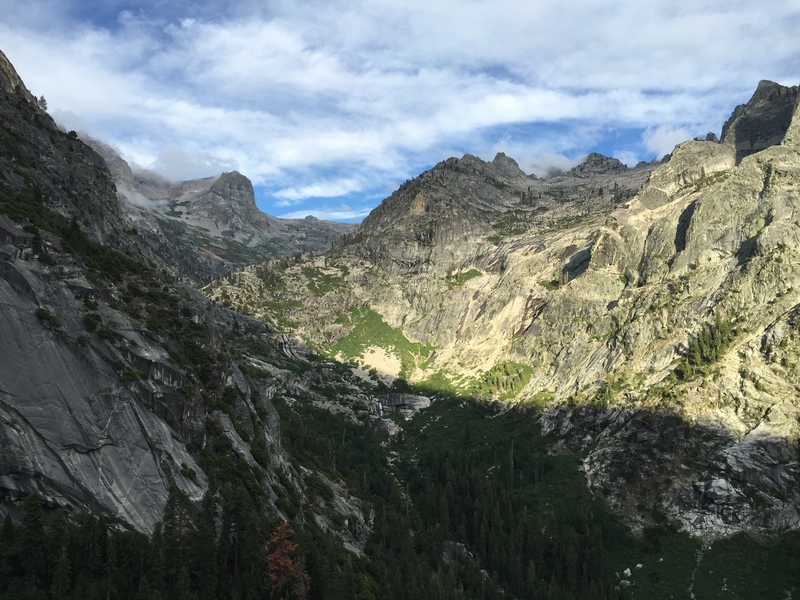 Looking up the High Sierra Trail toward Kaweah Gap. I’m still posting yesterday’s photos. Yesterday was an exercise in being trip leader. 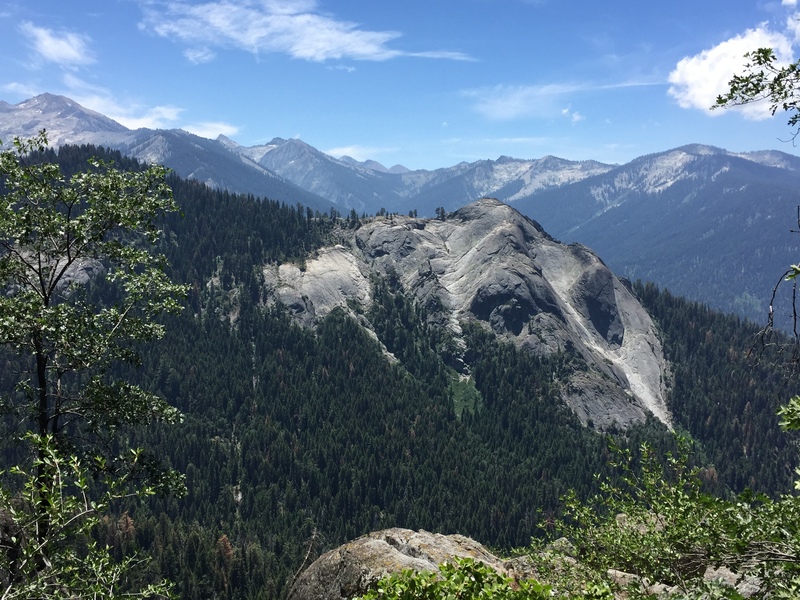 When it looked too threatening to go over Elizabeth Pass, I figured out a new route for us: back to Roaring River, through Sugarloaf Valley and over Silliman Pass. But the sky, while not exactly clearing, indicated that the weather might hold for long enough for us to get over the pass, so new plan scratched and old plan reimplemented. We did get our 4 hours of clear weather, but it wasn’t quite enough time for us, as the going was so slow. I realize in looking back through the photos of yesterday that I didn’t take any pictures of the path right in front of my feet. I should have. Often, it was invisible. There was foliage of various kinds up to and past our knees, and our feet just had to make educated guesses as to where the actual trail was. And then, more often than not, for miles, the foot came down in a stream that was temporarily utilizing the path to get downhill. It was, as I say repeatedly, very beautiful, but a little like bushwhacking, and we stayed very wet most of the day. When we got above the foliage, the trail was mostly clear and dry to the pass, but coming down the other side, it was extremely steep and we had to keep an eagle eye out for the cairns that marked the trail, or we could easily just start following a stream bed (they were everywhere) rather than the trail. That trail down the south side is amazing: it just snakes along these little ridges and switchbacks and you wonder almost all the time how it will manage the descent. It does, of course, but if you walked off the trail it’d be a nice long free fall. The view from the bridge over Lone Pine Creek, Looking back up toward Elizabeth Pass. This is the third bridge (at least) that has been built on the trail. The creek washed out the other two, leaving remnants of mangled steel struts. I don’t think it can reach this one, though! 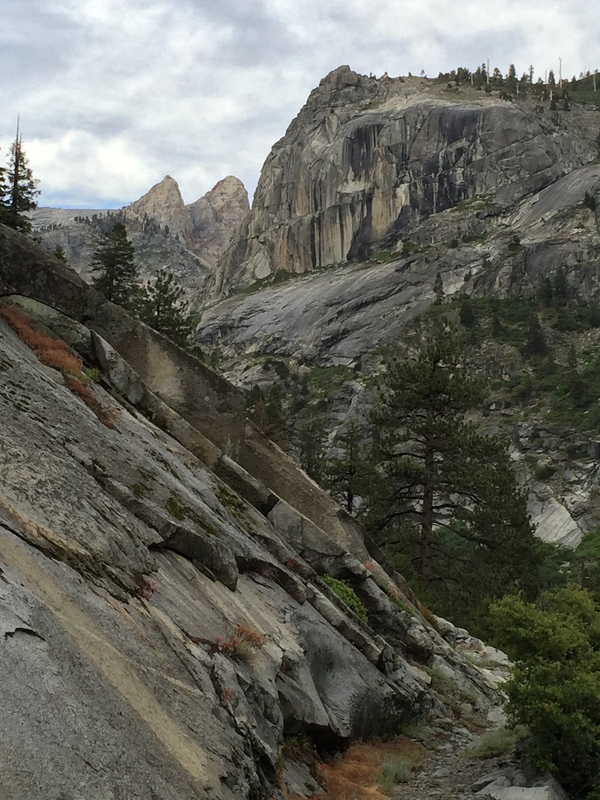 The High Sierra Trail winds along a tiny ledge. Recognize those two peaks? We looked down on them from the other side from Elizabeth Pass. 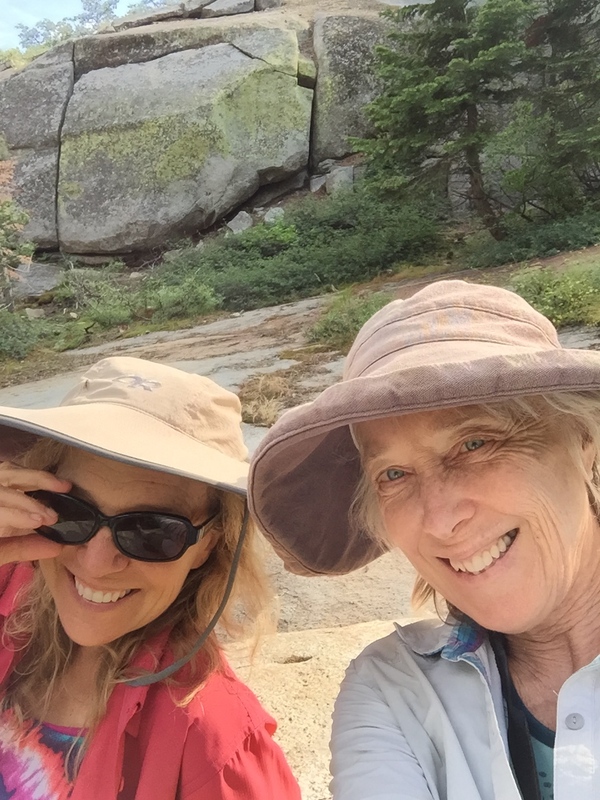 We got caught in big rain coming down the Kaweah side of the Kings-Kaweah divide. When it finally cleared and the trail became relatively level, we stopped for our hot meal. 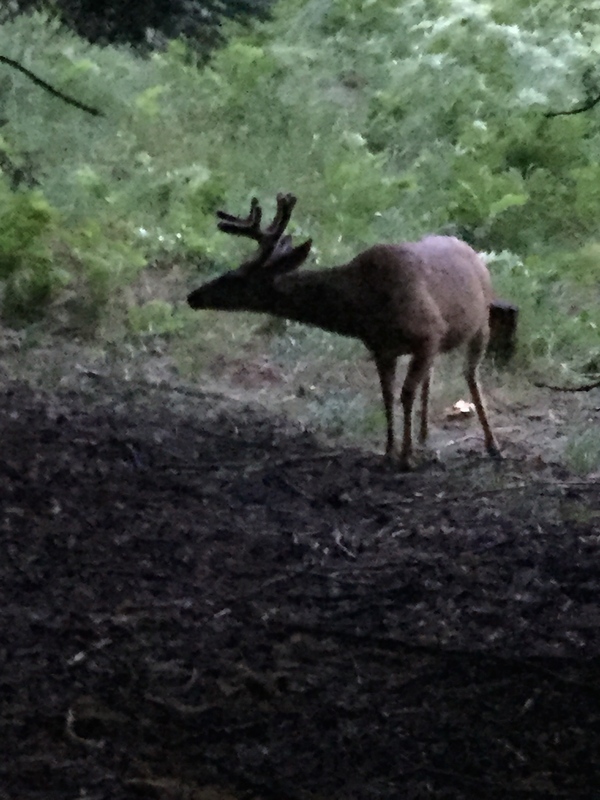 While we were there, we were startled to see another hiker coming down the trail. Our first sighting of another human since we saw the ranger at Roaring River two days ago. Turns out he was an ultra-marathon runner from New Mexico, out for a little 180-mile jaunt. He had gone all the way from Roaring River and over the pass, and after chatting for awhile, he passed us and went on. He complained about the trail maintenance and said he thought the mileage listed on the map was wrong, that it seemed lots longer to him. We were happy to hear that, as we certainly thought so! But I did love the fact that nothing had yet been cleared or trampled down by humans this year. We saw only one other set of footprints on the trail, heading the opposite direction and at least two days old (otherwise, we would have passed whoever it was). He took the only good campsite between the Tamarack Lake turnoff and Bearpaw Meadow backpacking camp. 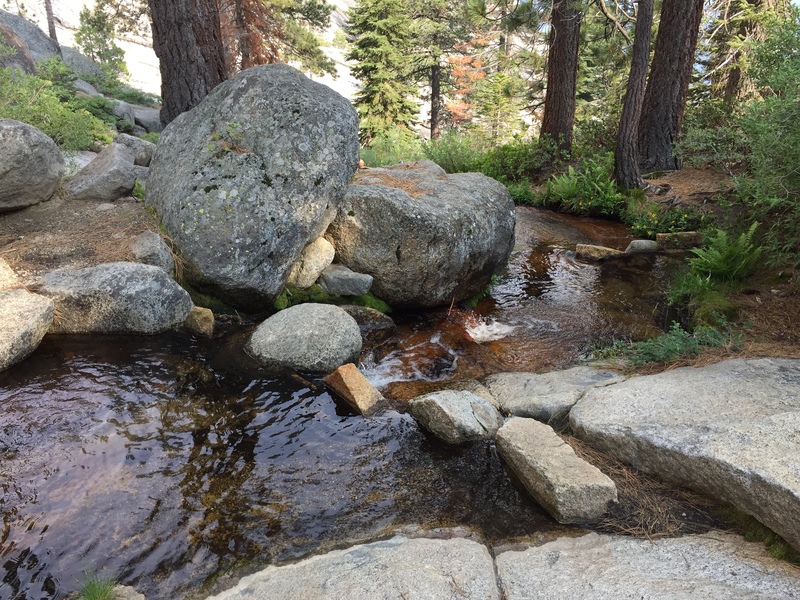 I would have liked it for us, but that was OK. We continued on and hit the High Sierra Trail, which was/is an incredible feat of engineering. It winds along a teeny ledge high above the Kaweah River valley. It’s like no other trail I’ve ever been on (though maybe like the Grand Canyon in its spectacularity and steepness). 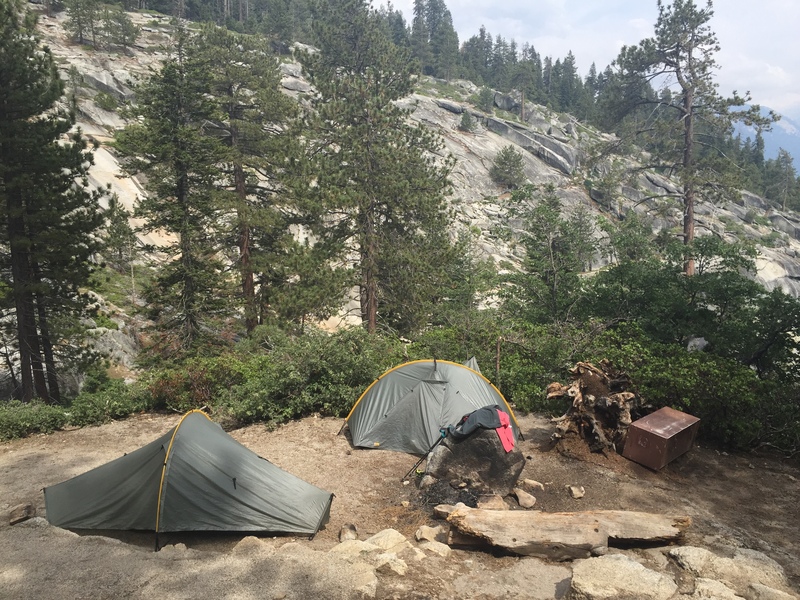 We finally approach civilization, many trail miles from a paved road, at High Sierra Camp. I confess, I wanted someone to invite us in for dinner. Our deer friend. Barbara didn’t like him. Our campsite, Bearpaw Meadow. Barbara said she woke in the middle of the night to find her tent collapsed on top of her. From this photo, I think I can see why. Too tired to set it up right. I had a great night’s sleep on the most level piece of ground I’ve found yet. 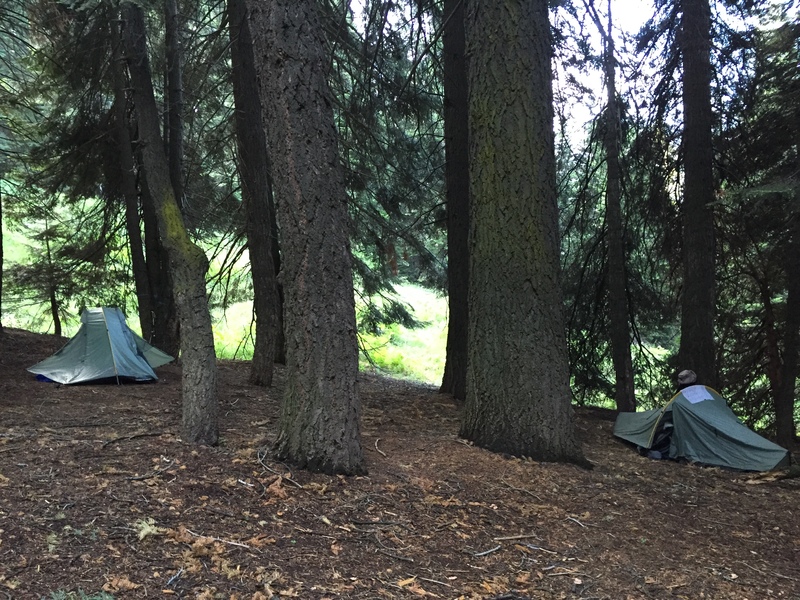 Bearpaw Meadow is a very civilized backpacking camp, with running water. 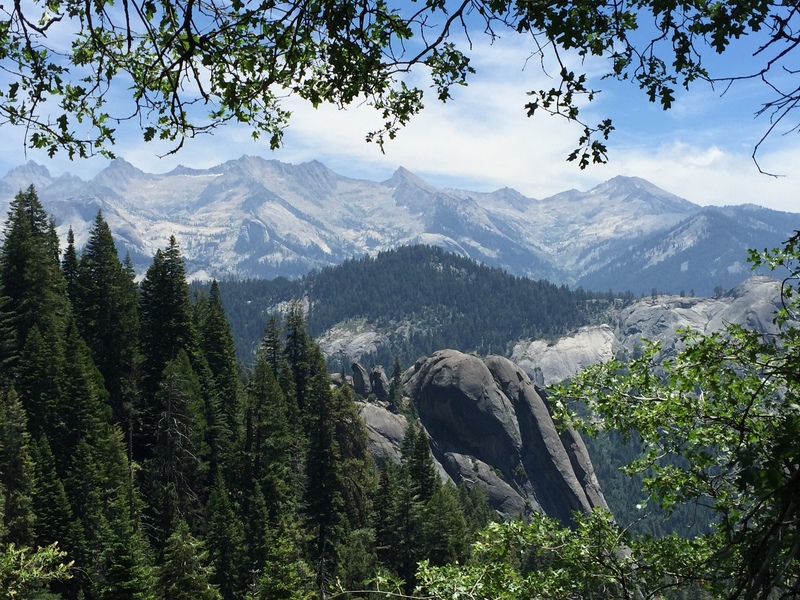 There are comparatively lots of folks on the High Sierra Trail, which continues to be spectacular. The sun is out! We stopped at Buck’s Creek and washed up, which was a very welcome activity. Clothes even dried, which we hadn’t experienced for a couple of days. Nobody came by the whole time we were hanging out there, except one young woman, hiking alone. 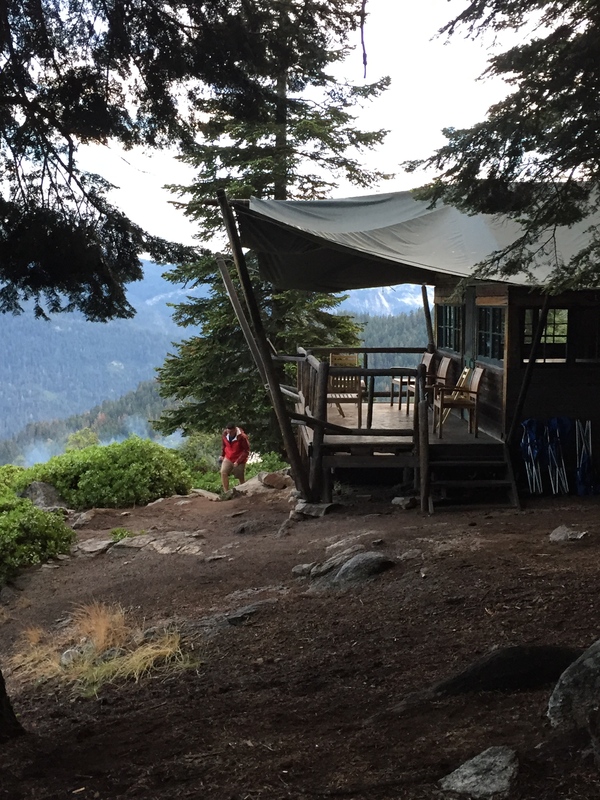 After a very leisurely day strolling along the High Sierra Trail, we made camp early at Mehrten Creek. The only level place for my tent seems to be right in front of the bear box, so out of consideration for whoever else might want to use it, I found a less-than-ideal location. It’s hot and dry this side of the mountains, and that mean one very important thing: NO MOSQUITOS! Or, rather, very few. Yay! It’s so nice to walk in the sun on a relatively level trail. Lazing around on Mehrten Creek, at our last campsite. 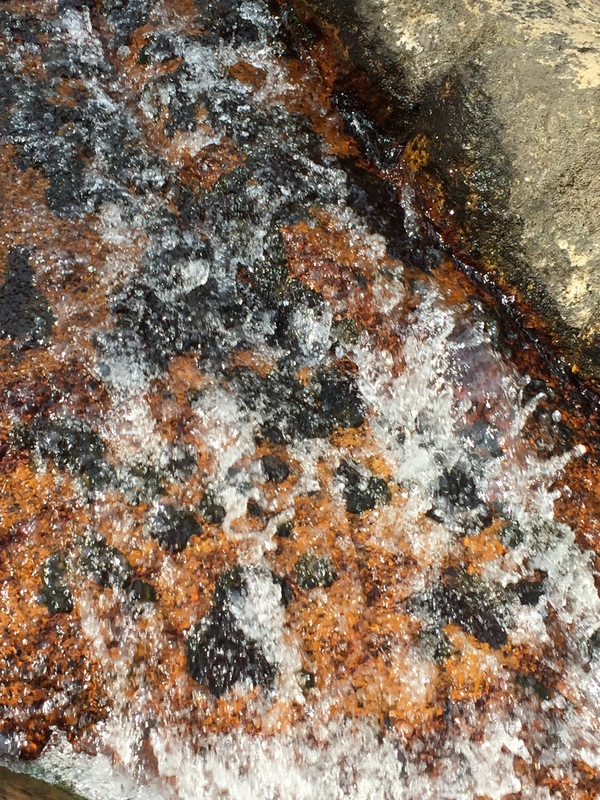 water cascading over lovely speckled granite. Mehrten Creek sang to us as the sun shone down. Our last campsite, above the creek. I’m watching thunderclouds form over the mountains to the east. 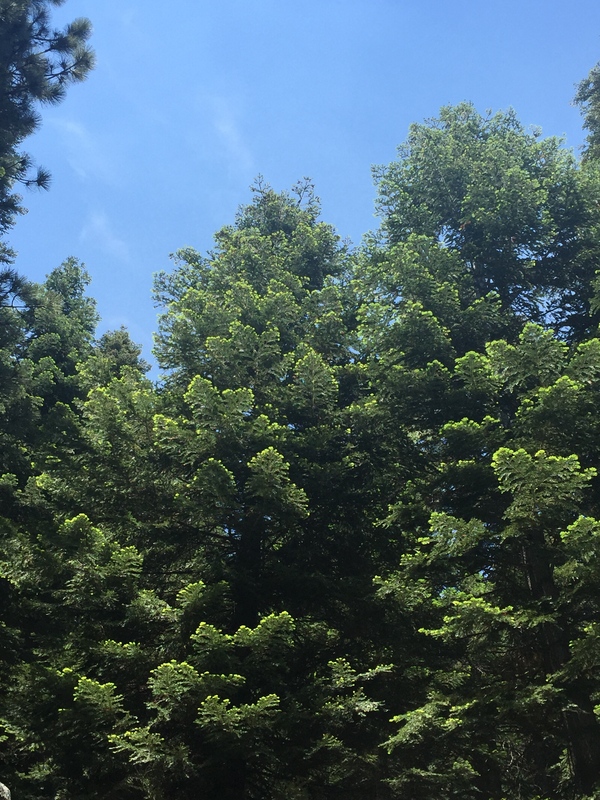 Tomorrow, we have to pack up early and hike six miles to Crescent Meadow where we can get a shuttle to the Giant Forest Museum to catch the 2.5-hour bus ride to Visalia to contact Uber for a ride to Pat’s house in Fresno to get my car to drive 3.5 hours home. Whew! I do hate to leave these mountains. ← Day 4, Elizabeth Pass! Love being a part of this adventure! Thanks for sharing. I met quite a few people on Mt. 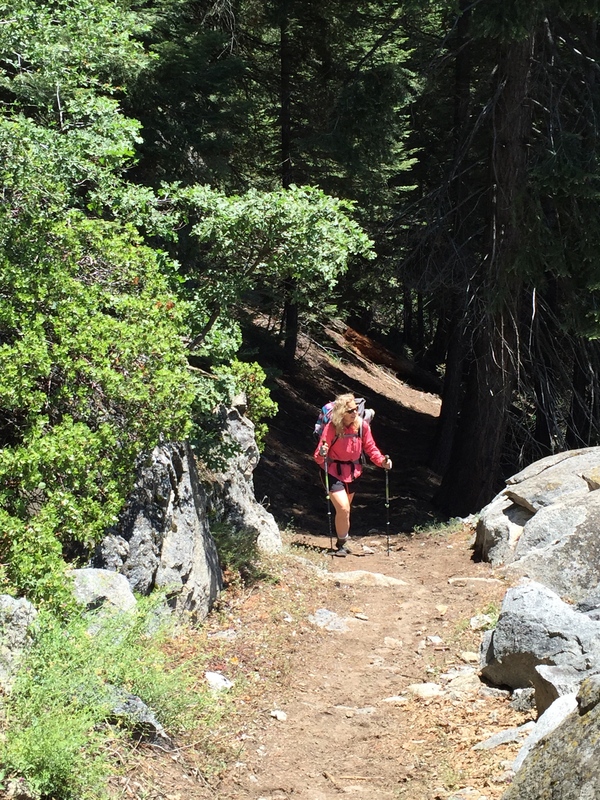 Whitney who were finishing the High Sierra Trail, having started at Crescent Meadow. They all looked radiant — as do you and Barbara! How wonderful for you to be able to do this. Beautiful photos. Thanks for the story of your adventure. After reading this year’s report, I’ve been re-reading your 2014 adventure, and happily discovered Betty’s parallel report, so I read the two different views of each day. Betty’s ends abruptly at Day 9,but says the rest is coming soon. Do you know if it’s available? I write about my travels too, and know how hard it is to get them finished, especially when you get back to “real life” and all its demands. 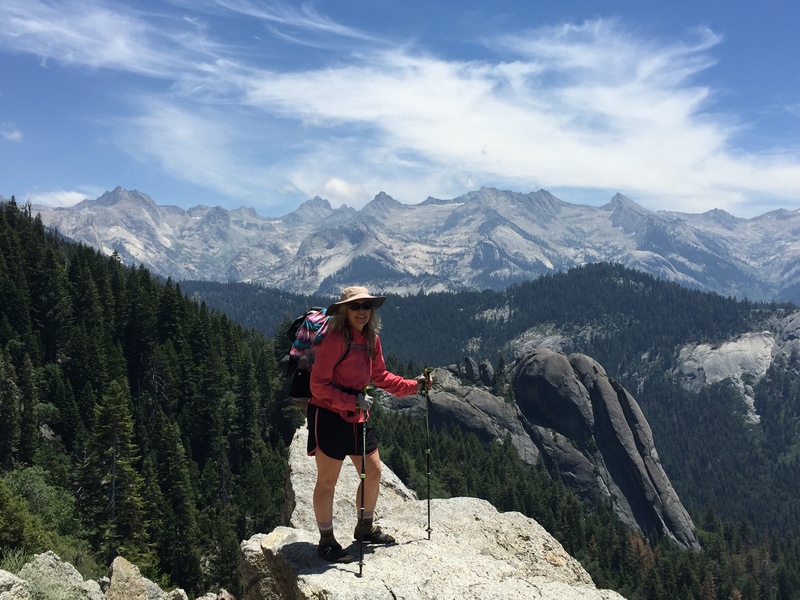 I’ve hiked some of your route, not the JMT, but around and to the top of Cathedral Peak, and enjoy vicariously visiting places that were on my To Do list before the pack got too heavy and I got too old. 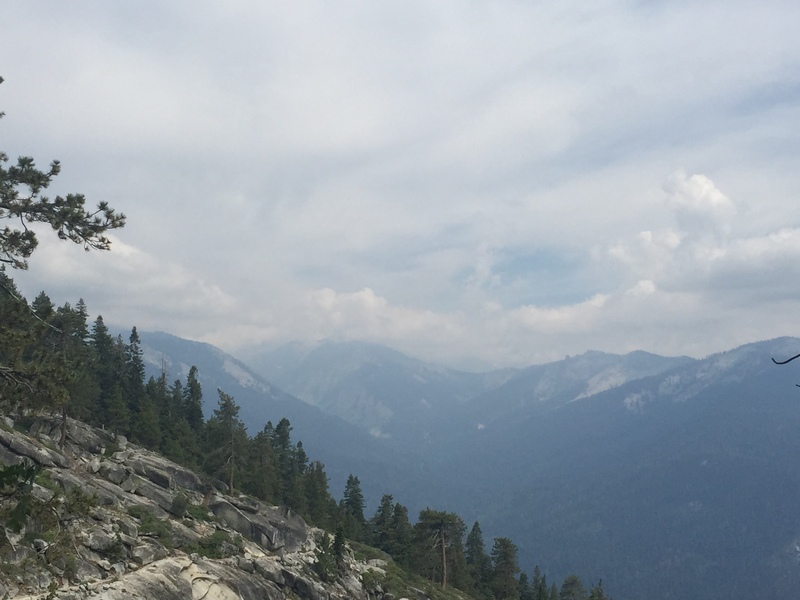 Also hiked to the Postpile from the west, across the San Joaquin North Fork at Sheep Crossing. Hiked a lot of your 2015 route, Sphinx Creek, Roaring River, Sugarloaf Valley, many years ago. 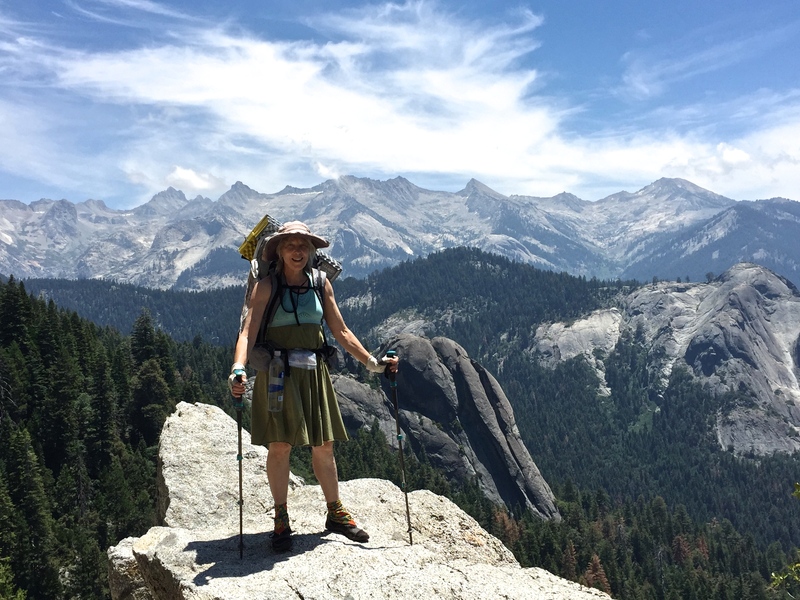 I send your link to friends and now one of them says “I want to do that!” My daughter is getting ready to start backpacking at age 51. I don’t think Betty ever finished her account. I guess Life got in the way. 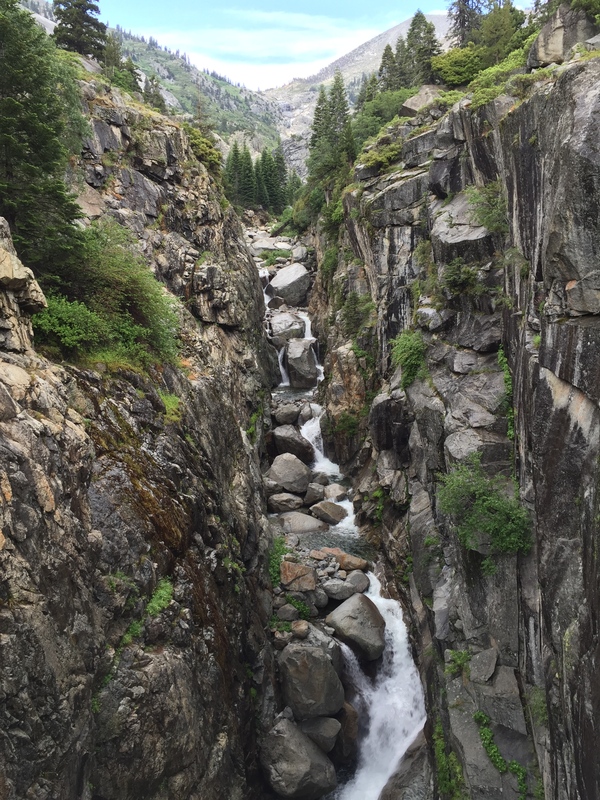 I am having trouble finding the time to write up the last day of my most recent hike! Thanks!! I love love love hearing and seeing all about your great adventure! !